Spring is in the air! The flowers are blooming, the weather is warmer, and I have discovered that people are more pleasant with smiles and laughter ringing through the air. 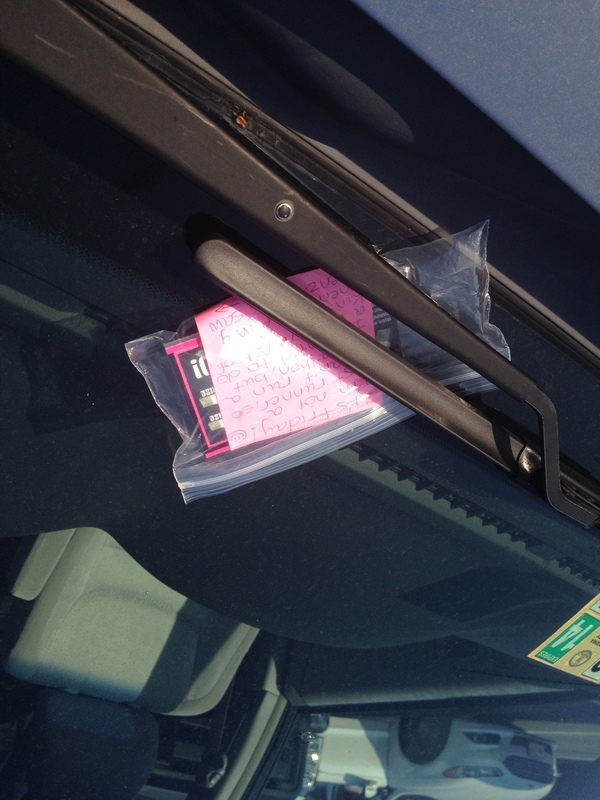 Maybe southerners are just naturally friendly people, or maybe those around me are just so happy to NOT have sleet or snow… whatever the reason, this week has been inspiring by the kindness I’ve seen in others. Those of you who follow my blog probably read about my April Fool’s RAK where I blessed a random person with lottery scratch-off tickets. Well, the day I purchased those, I purchased a few more and stuck them in my purse just in case I was inspired to RAK someone again the same way. 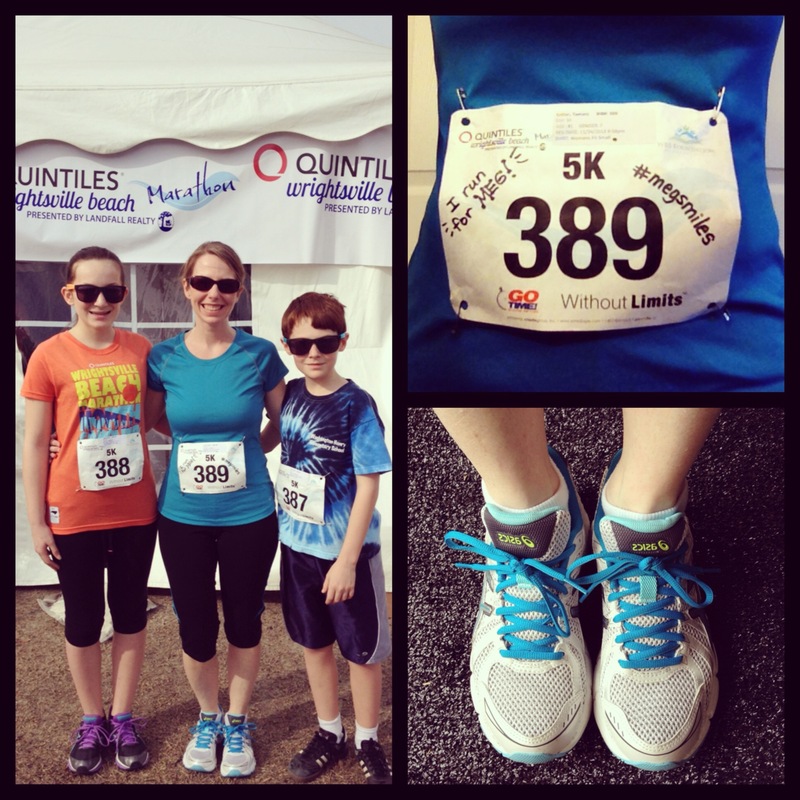 I joined the Meg’s Miles Supporters Facebook group and have enjoyed reading the inspirational posts from the members of that group (Over 15,000 strong!). 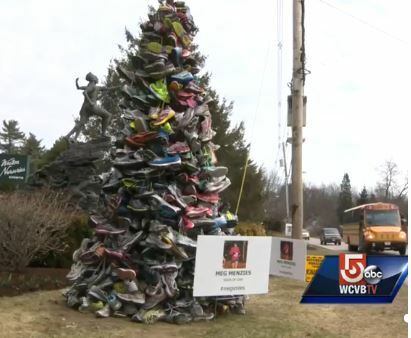 I’ve also been following the work of Kel Kelly, a Bostonian who offered to collect running shoes in Meg’s memory and create a memorial now displayed at Mile Marker 1 of the Boston Marathon, the very race Meg was training for when she was tragically killed in January. 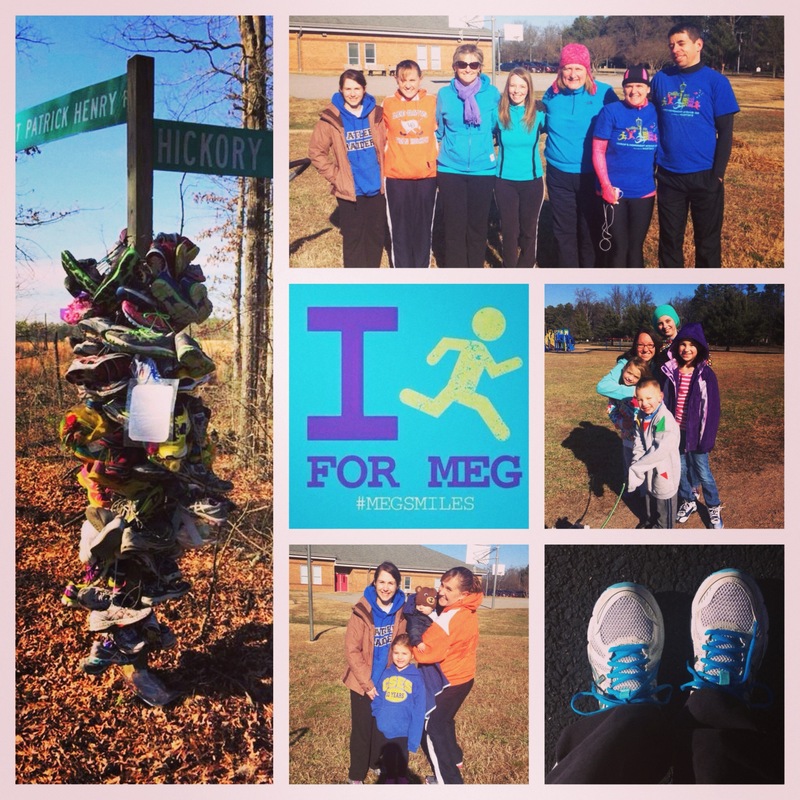 Even though I did not know Meg, I think of her often. May your weekend be filled with the joys of spring and may you find your own simple way to share that joy with others. Be blessed, my friends! 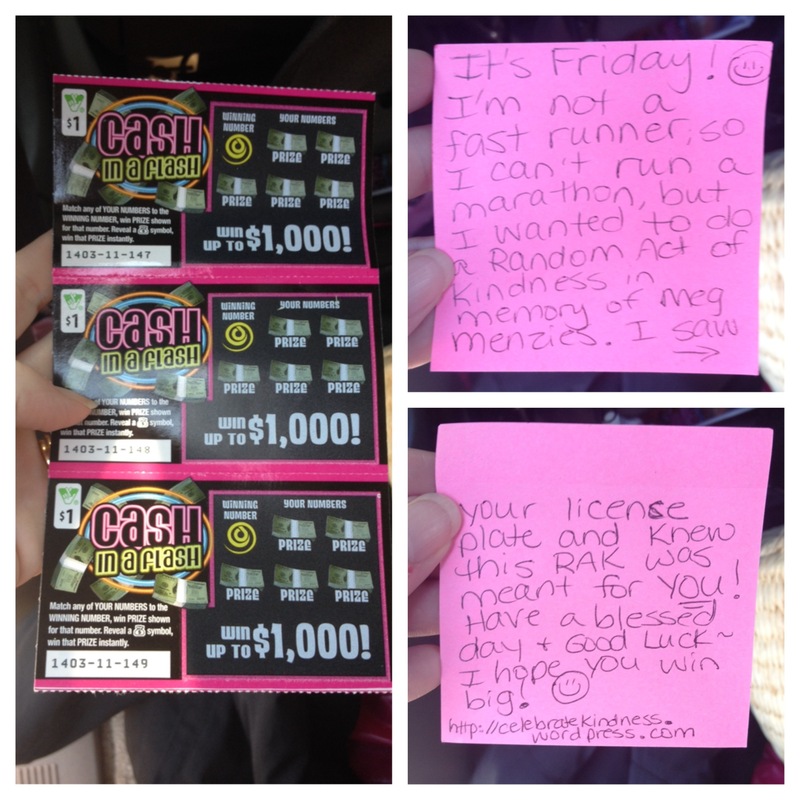 1 Response to "Random Act of Kindness – A RAK for Meg #RAK #megsmiles"